ICYMI, last year Gucci tapped some of the internet’s best meme-makers to create memes for its new watch collection. This year, in a completely different direction, the Italian house has taken inspiration from the art of divination. 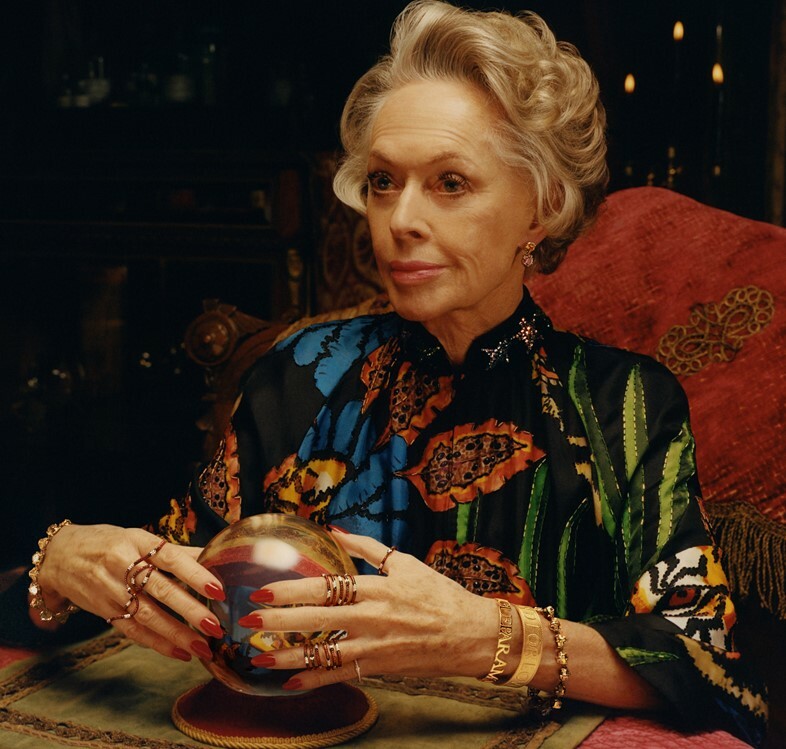 Tapping actress Tippi Hedren – who starred in films like The Birds and Marnie – the images are shot by Colin Dodgson and feature Hedren with a crystal ball, head-to-toe in the latest Gucci garms, obvs. Set in Los Angeles, the accompanying video shows the actress reading a crystal ball in a rich interior among golden chairs, tablecloths, crystals and candles. Soundtracked by electronic artist E.M.M.A., it is the perfect accompaniment to the dark, witchy atmosphere as a group of young people come to visit the fortune teller to get their palms read. With Gucci’s Cruise show fast approaching – to be held on May 30 – a trip to Hedren might be the only way fans of Alessandro Michele’s designs can get a glimpse into what to expect.